With Thanksgiving fast approaching, the importance of family grows daily. When it comes to Southern food and family none are as successful as the Deen family. 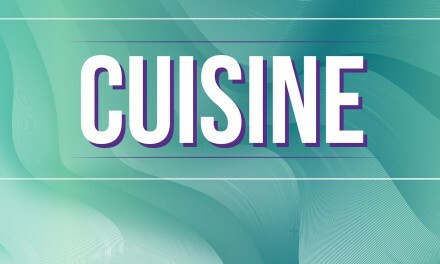 I recently had an interview with Jamie Deen discussing his latest cookbook “Jamie Deen’s Good Food.” The charming book with a flip side children’s cookbook by son Jack called “Rooster’s Café” is recommended for anyone, but I say is a must for fathers who cook with their sons. The foreword is written by mother Paula, and Jamie made sure to mention she is doing well, and appreciative of the thoughts and prayers from everyone. I caught up with Jamie at Page and Palette with my ecstatic mother and sister in tow. Andy MacDonald: All of the Deen publications have a common family theme, so it was no surprise that your first solo cookbook is not lacking in that department. Would you say that is the code by which the Deen boys live? 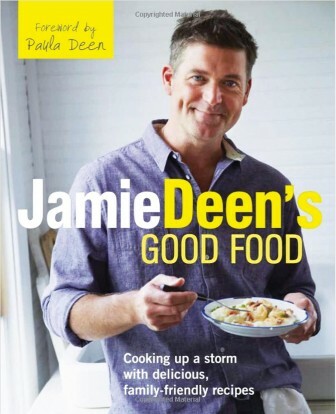 Jamie Deen: You know, what’s funny is that my mom is the traditional, Southern grandma cook, and my brother’s been really ahead in nutrition and diet and exercise for the last few years, so his book is taking our family recipes and ringing all the goodness out of them and making them 350 calories or less — and I’m kidding, they really are good. And then mine falls into the family category because we all found success because we stay true to ourselves and true to our family, and I don’t think people are surprised that my first solo effort is geared towards busy families and people that strive to find something they can feed their kids that will also satisfy them. And it’s not for kids, and it’s not for people with kids, but that’s who I am. So these recipes could be applicable to anybody’s life. It’s easy to find ingredients, fairly easy to prepare. It’s fresh, it’s good food. That’s why it was easy to come up with the title. AM: Farm-to-table is really huge around here. Your first chapter gives a nod to the movement. What is now a trend that I consider a great trend, is really just the way that we used to eat when we were younger. JD: Yep. My grandmother would have been really surprised to hear that she was the forefather of the farm-to-table movement when she just used to call it lunch. Growing up down in the South where I’m from it seemed like there was more property. There was a huge state farmers’ market. My grandmother kept an acre. My family kept probably two acres when I was a middle-aged school kid. It’s great because farmers have really been through hard times. You know, they say it’s so hard to make a living farming, and now you can just about fill up the back of your truck and park on the road and folks are going to find you. Looking for the freshest, closest-to-home ingredients they can find. So I’m with you, I think it’s a tremendous movement for the country, but for us in the South we’ve been cooking fresh vegetables my whole life. AM: Would you say that now we are hip enough for the big city life to emulate us? Is it our day in the sun or has it always been there as an undercurrent? JD: I think it is just what we were speaking about. It was no big deal for my grandmother. And for me to go out and pick her beans and potatoes and tomatoes and cucumbers, she would make these fantastic salads. It was something we grew up with and now you go into the bigger cities and they’ve kind of turned what we’ve done forever into something special. It’s like shrimp and grits. In this book, shrimp and grits was traditionally a poor man’s meal. And now you can find it in restaurants for $30 a plate. I think that every now and then the country will pull something they like out of our Southern food and splash it across the country. 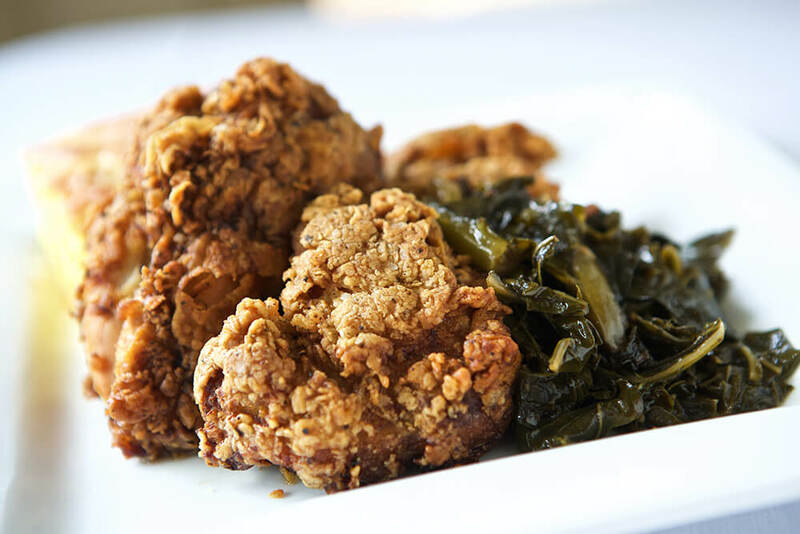 So it’s a point of pride for us to say, “Yes, this is good food, and yes, it is a good way to eat.” Yeah, it’s our moment in the sun for farmers and folks in the South that have always eaten this way. AM: I love the line in the book about your mom telling you, “You’re gonna want to eat ‘em, you might as well get to shelling ‘em. What was your least favorite thing to shell when you were a kid? JD: I’d probably say butterbeans, and I wasn’t a big fan of shucking corn either. I really didn’t have a favorite. I wasn’t big on prepping any of the vegetables, but I did love to eat them. AM: Gazpacho excluded, soup in winter or soup all year round? JD: Soup in winter. I’ve got my chili recipe in here and it’s one of my favorite things to cook. I love a long, slow, big pot and I can’t eat it in the summertime, but once the fall turns that’s when I start looking for more big pots of hot food. Who wants to eat while you’re sweating? AM: As any good cookbook would, this one has its indulgent moments, but you come across that you feel our generation has a responsibility to be a little healthier than our parents. Certainly your brother Bobby was doing that, but it seems you are trying to promote a healthier lifestyle, too. JD: Bobby was the first one to say, “I can’t do anything about getting old, but I don’t have to be fat. I kinda came into where I am food wise because of how much I love my boys. Brooke and I recognized pretty early that one of the parents’ first responsibilities, other than the safety of their kids, is to get them on a path to good eating. When Jack went from baby food to table food, this is when we started formulating these recipes. What can we feel good about feeding Jack that we will get excited about eating too? As I started to eat like Jack, and I ate at the times of the day that he ate, I lost 50 pounds. It’s just generational changes, you know? While mother is a traditional cook in the South, which means you’re going to use some butter, and there’s going to be some cream, and there’s going to be some ham hocks and those things, she doesn’t cook as extremely as my grandmother did, or my great-grandmother. So I’m holding on to our food and all the stories. I’m just preparing it a different way. NextIs Dean Young the GOP’s Harvey Updyke?